For the newlyweds, Thailand has many various romantic places and plenty of affordable overseas honeymoon. 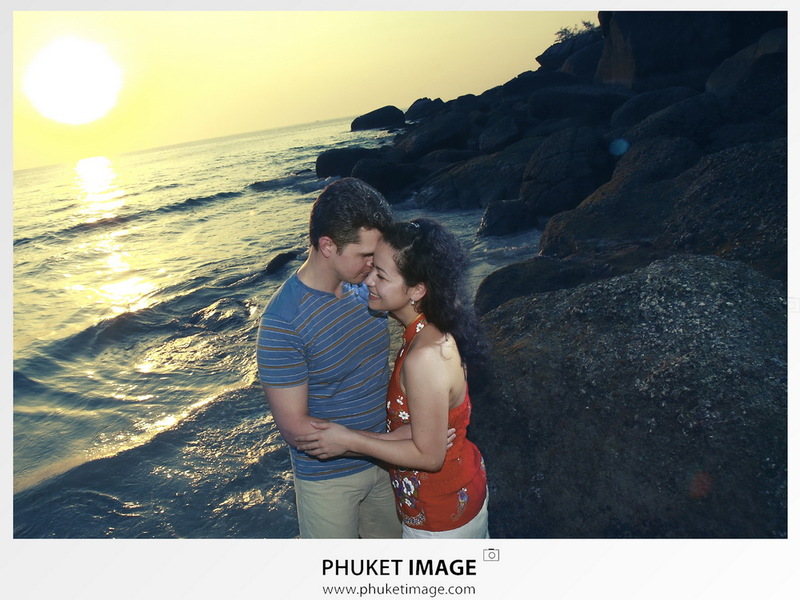 If you ask me, Koh Phuket and Koh Phi Phi is best for romantic destinations honeymoon photography in Thailand and Kata Noi Beach is one of my favorite beach on Phuket Island.Our newlywed they’re an amazing couple and I’m so excited to create life time memories for them. 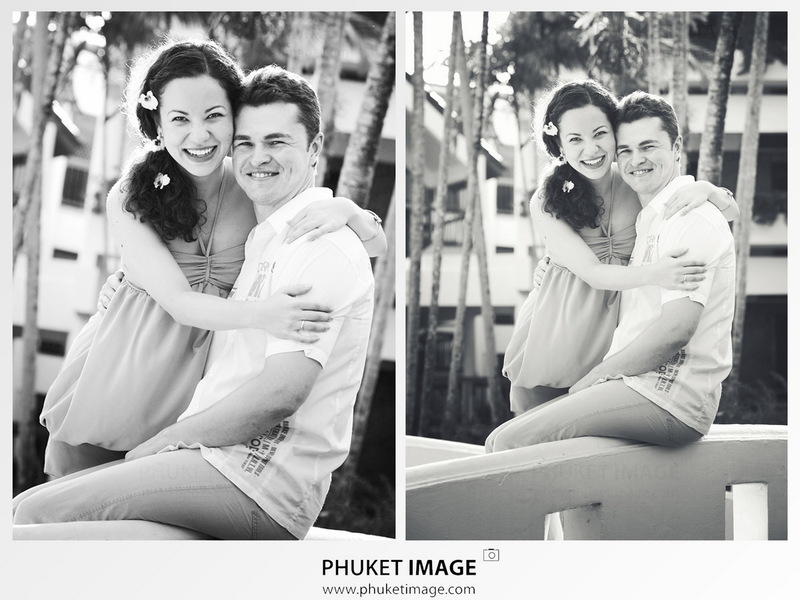 A sweet portrait of a married couple during their couple session at the Katathani Phuket Beach Resort. Live, enjoy and remember forever the precious moments of your honeymoon vacations in Thailand. If you’re newlywed and decide to have your first trip as a young marriage couple to Phuket, Koh Samui, Koh Phi Phi or Krabi. They are a great way to create lasting memories while you have a honeymoon vacation through romantic photographs of you and your couple or your fiancé for engagement photography. Feel free to contact us for more information and package. 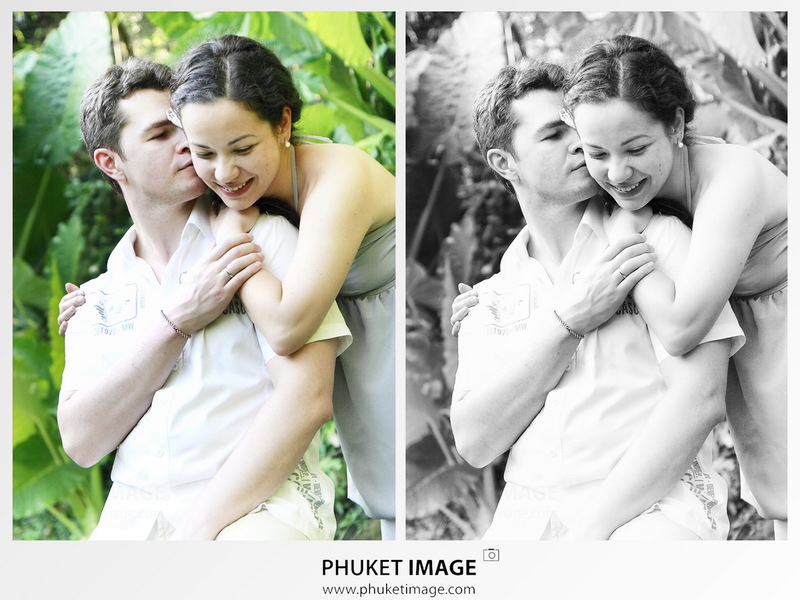 Lovely newlywed photo shooting in the tropical garden of Katathani Phuket Beach Resort. Candid photo shot of a couple, natural, relax and funny. Katathani Resort is located on Kata Noi Beach nestled in a lush green garden and palm trees plantation. Picture of the couple is against the green background and look so beautiful. This resort have many good spot to get a good backdrop even on the building walkway, you still see the tropical gardens and green landscape in the background. beautiful and tender love story in a dreamy beach photo session. Happy couple embracing with love and happiness on sand with the rock and sunset. Koh Phuket honeymoon photography beach portrait session on Kata Noi beach. 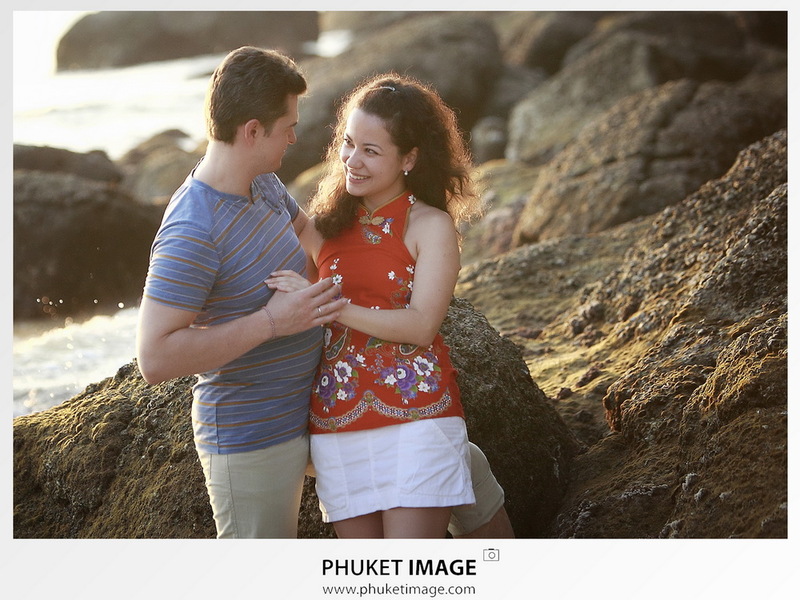 Happy young newlywed couple holding hands enjoying Andaman Sea sunset. Walking on the powder white sand beach of Kata Noi Beach the Katathani Phuket Beach Resort is the most romantic honeymoon spot in Koh Phuket. Honeymoon couple romantic in love at beach sunset . 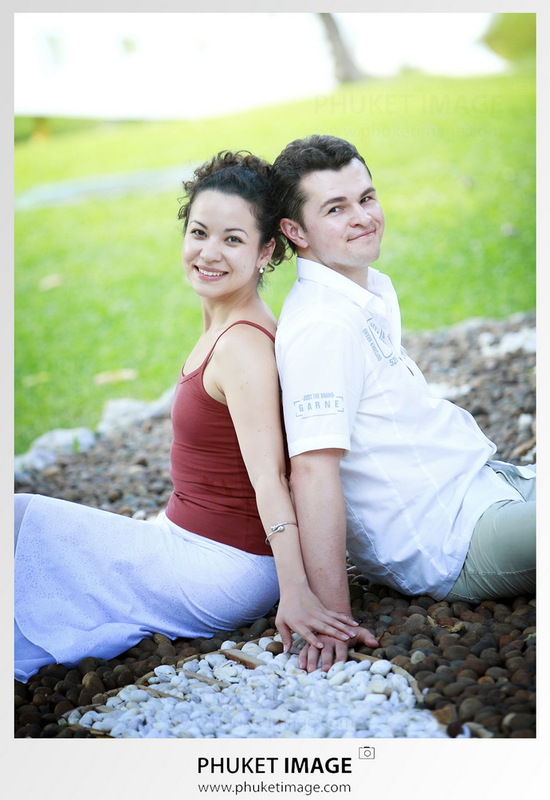 Honeymooner want to spend their moments with a natural beauty and romantic setting of the Andaman Sea. It’s always great to capture a beautiful couple in natural expressions of documentary photography. Honeymooners will get a remarkable love journey and the unforgettable life memory. From images you can tell clearly that they are having best time on their honeymoon. 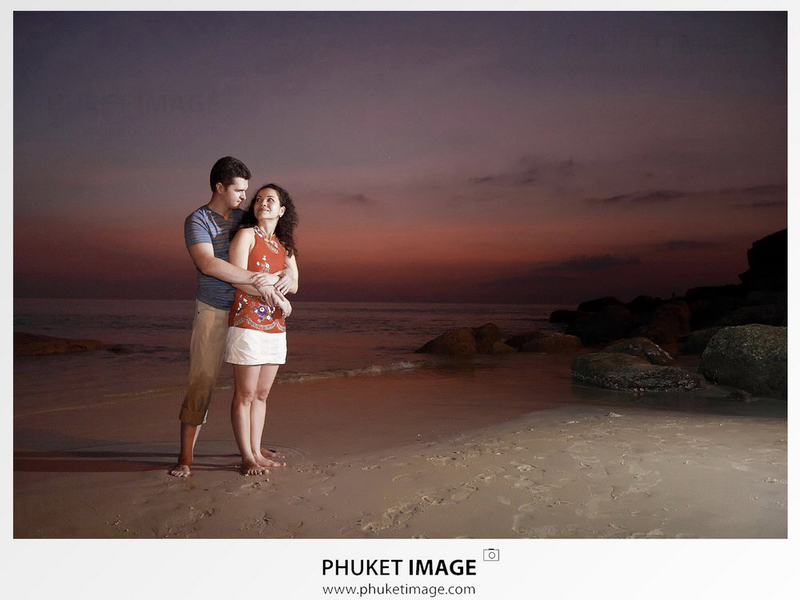 Blissful Phuket honeymoon, a young couple gets stunning sunset and a dramatic sky at the end of photo session. I hope you enjoy in our photography service and get a remarkable love journey and the unforgettable life memory.. This entry was posted in Honeymoon Photography, Phuket Wedding, Wedding and tagged Destination honeymoon photography, Destination Wedding in Phuket, Honeymoon photographer Phuket, Phuket honeymoon photography, Phuket overseas honeymoon photography, Phuket wedding photography. Bookmark the permalink.